Il existe une version au British Museum, 1895-9-15-652, original aux Offices ; Voir J.A. Gere : Burlington 1963 Juillet. 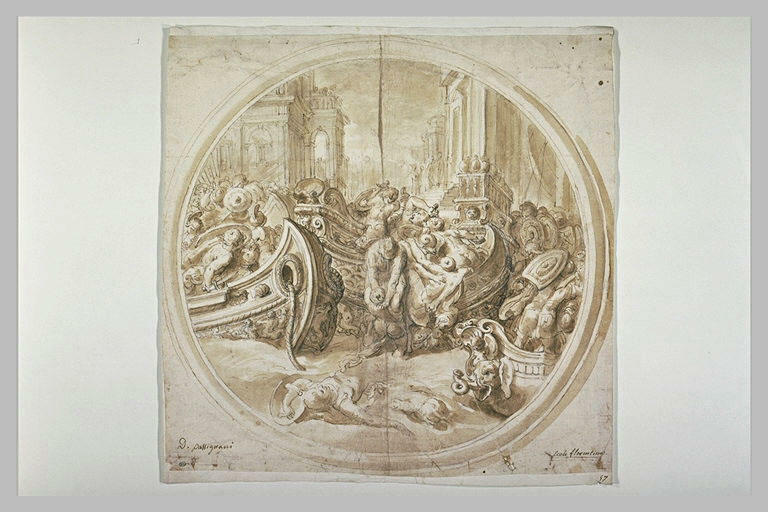 Le Louvre conserve un autre dessin de même composition, le RF 29497. J. A. Gere et Ph. Pouncey, Italian Drawings in the Department of Prints and Drawings in the British Museum - Artists working in Rome c.1550 to c.1640, Londres, 1983, n° 341.